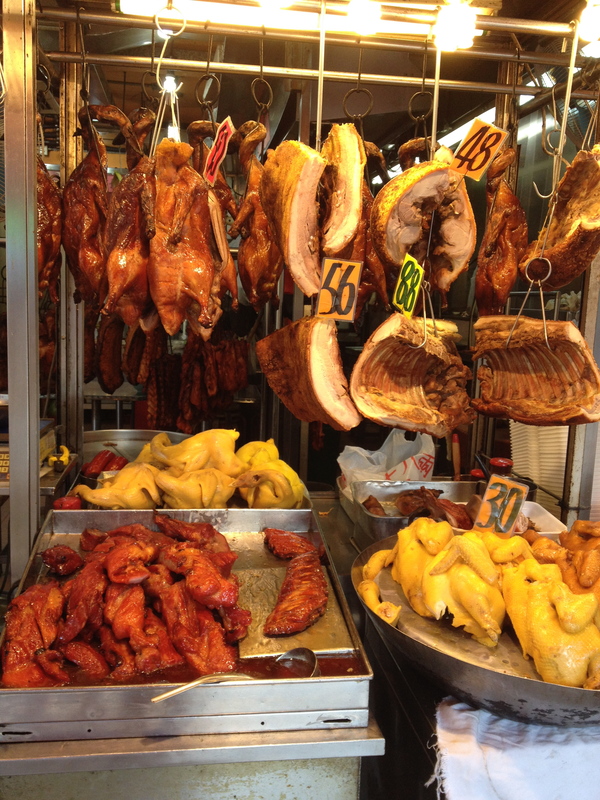 Hong Kong is certainly a fruitful place for the gastronome, like myself. With the vast international community, you kind find local restaurants from cuisines all over the world. I must admit that during my time in Hong Kong I ate Indian food and North Carolina BBQ, but for the most part, I was interested in exploring the Cantonese cuisine. 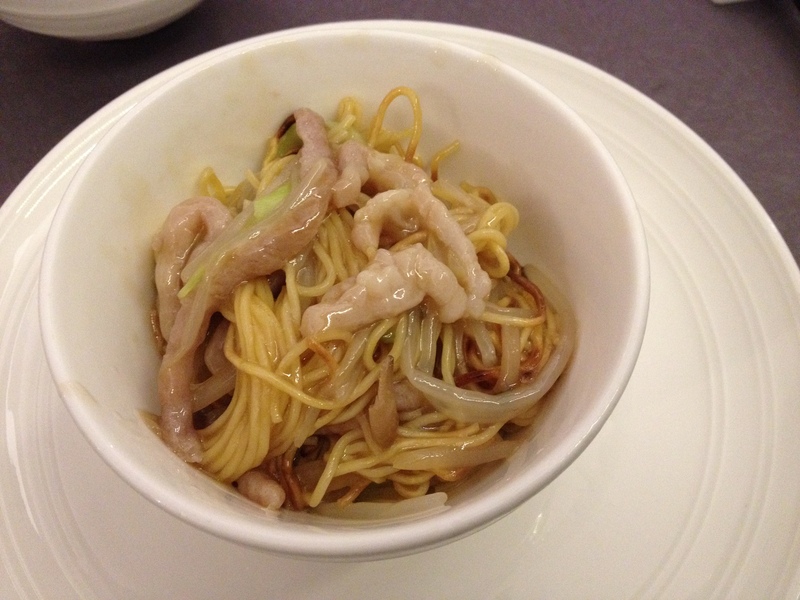 The Cantonese cuisine incorporates every edible meat into cooking. You can find almost every part of the animal on menus or in cafe windows. Plus, being close to the sea provides much in the way of seafood. I appreciate the simplicity and freshness of food. Most dishes are not oily and over spiced, but steamed with delicate herbs. 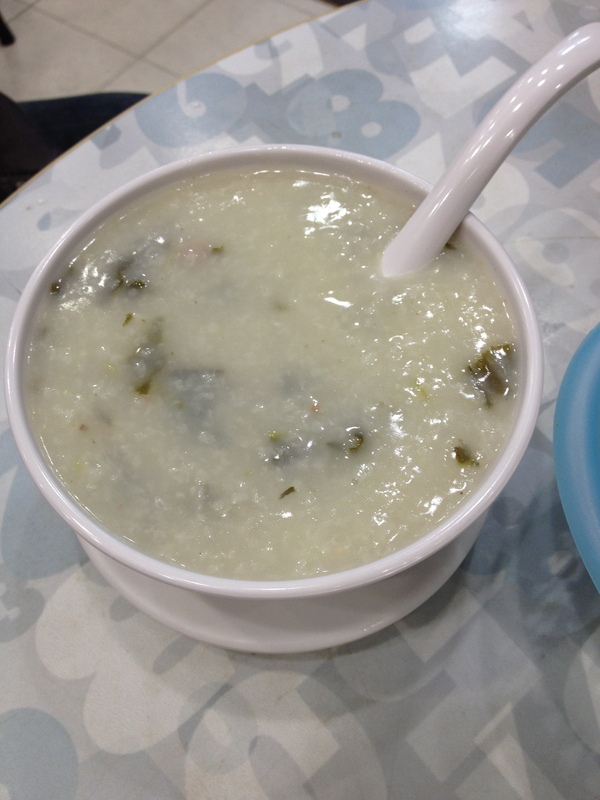 Congee: rice porridge that is served with a variety of additional ingredients like pork or vegetables. 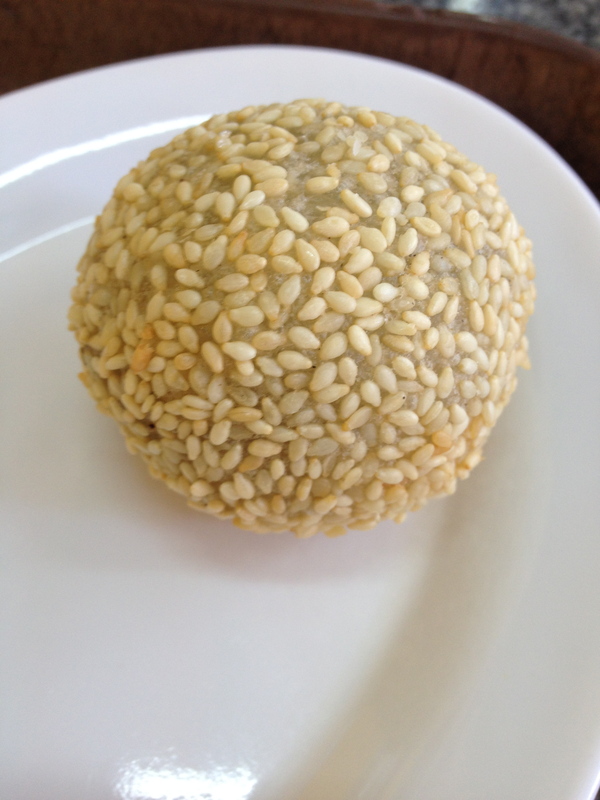 Jin deui: glutenous rice ball that are covered in sesame seeds and deep-fried. The inside fills with air but biting into it the air is released leaving a crunchy outside but chewy inside. 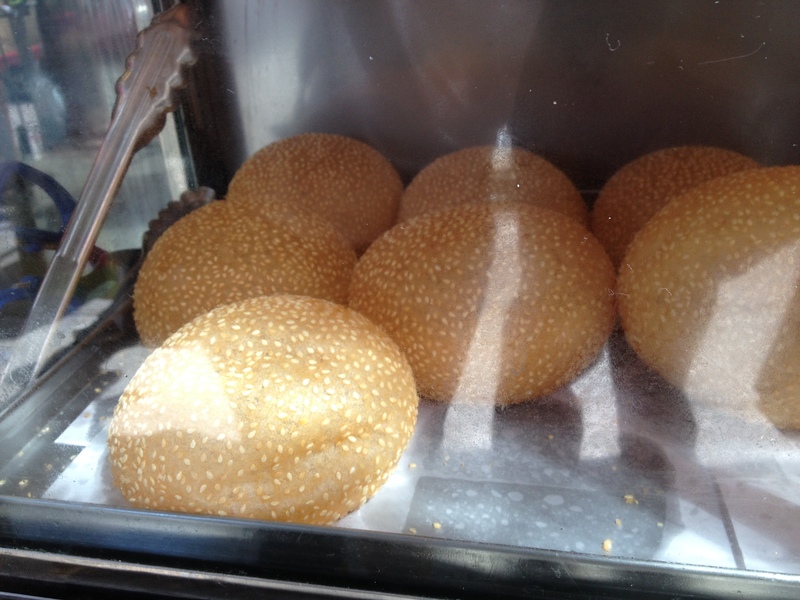 Boh Loh Baau also known as “pineapple buns” due to the pattern on the top. 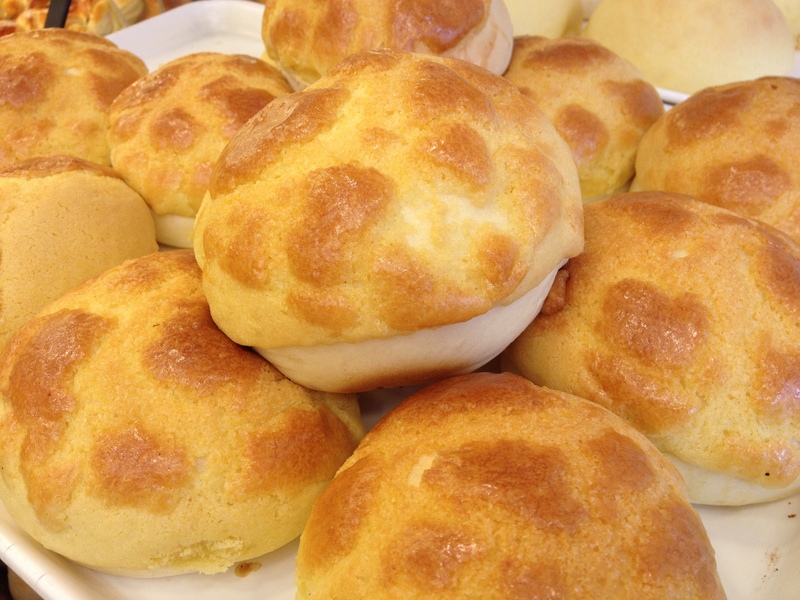 These buttery buns are slightly sweet and perfect for breakfast or a snack. 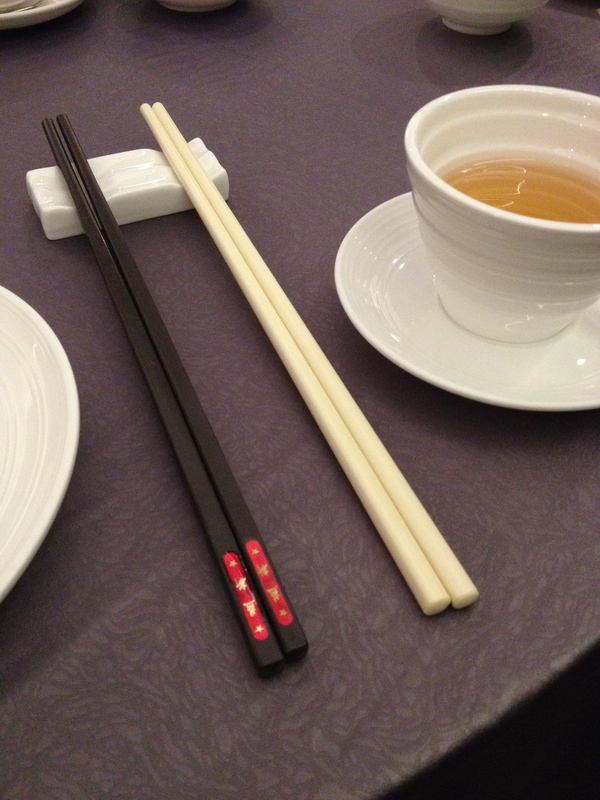 2 sets of chopsticks- one for serving and one for personal use. Fancy! Dim Sum refers to a particular style of Cantonese cooking in which small dishes are ordered to share with the table (similar to Spanish tapas). 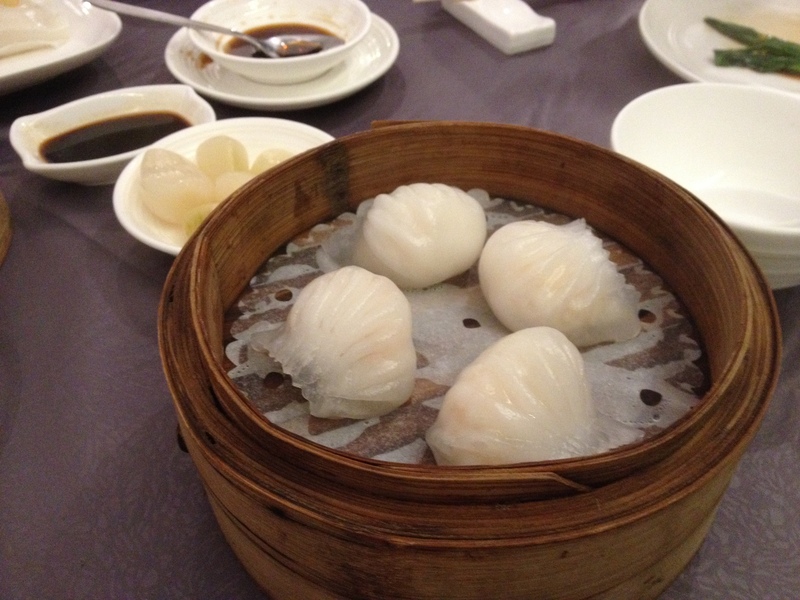 Dim sum, literally meaning ‘touch the heart’ is linked to an older tradition of yum cha (tea tasting). 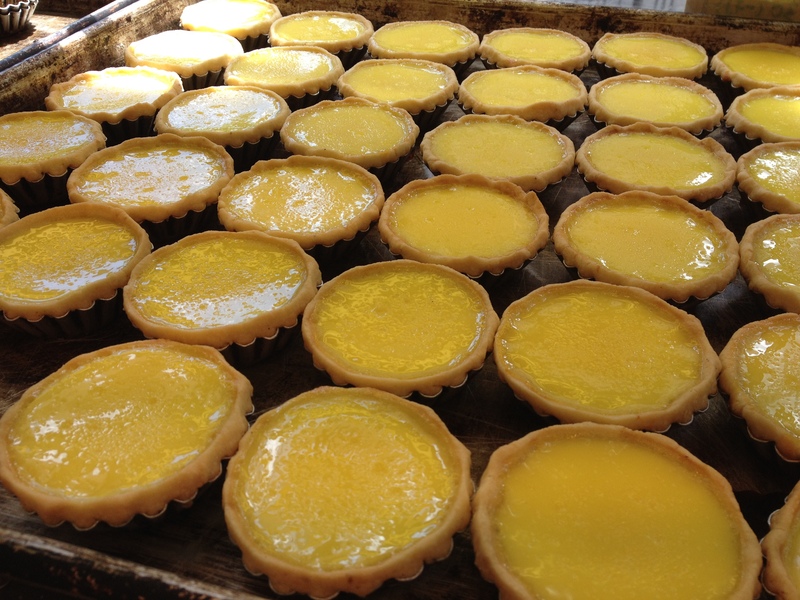 Taking a rest with family or friends to drink tea and eat a snack can be traced back to the Silk Road, but since then dim sum has become a staple in Cantonese cuisine and can be eaten as a main meal or anytime of the day. 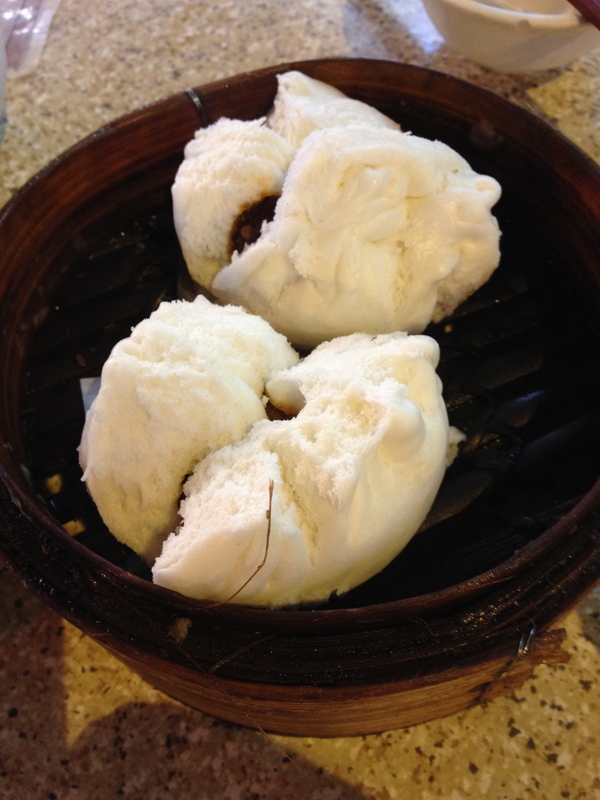 Cha Siu Baau: steamed dumplings with sweet bbq pork inside! Simply delicious! 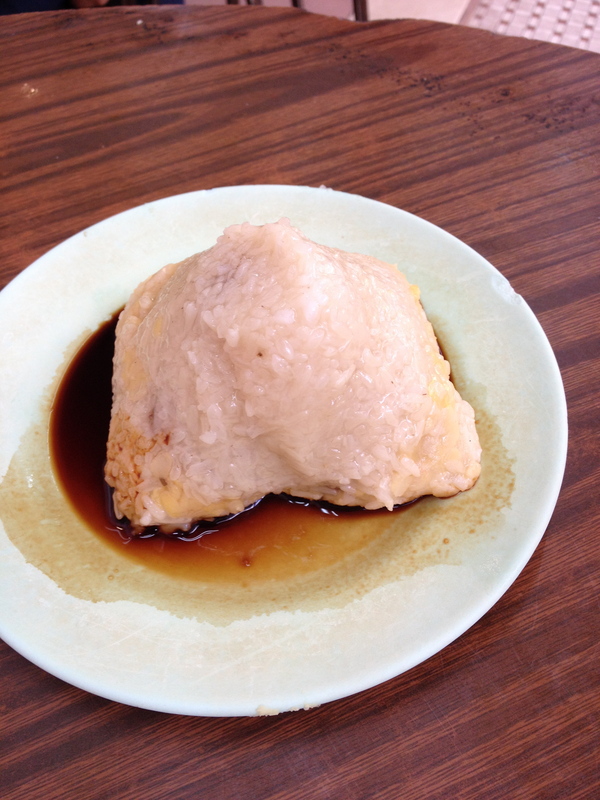 Jin Deui: This traditional dessert is filled with black sesame paste. 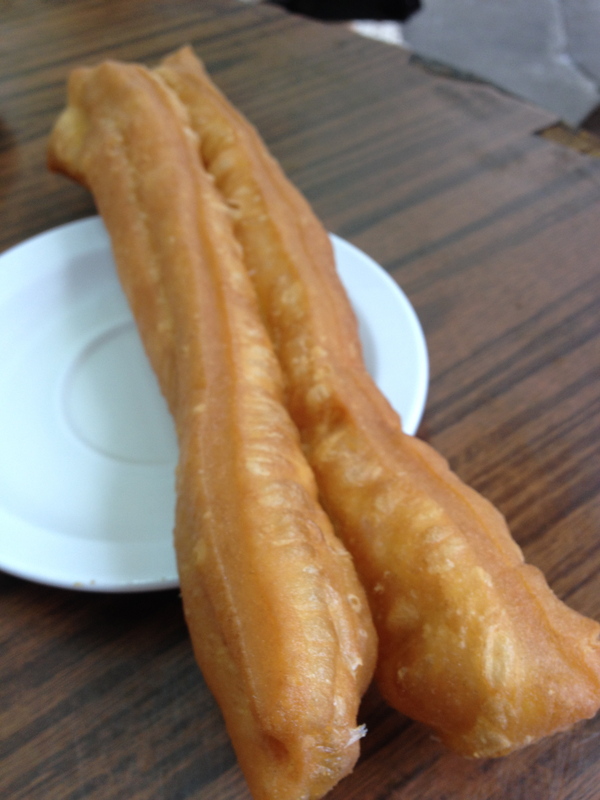 It is very delicious when warm out of the frier. 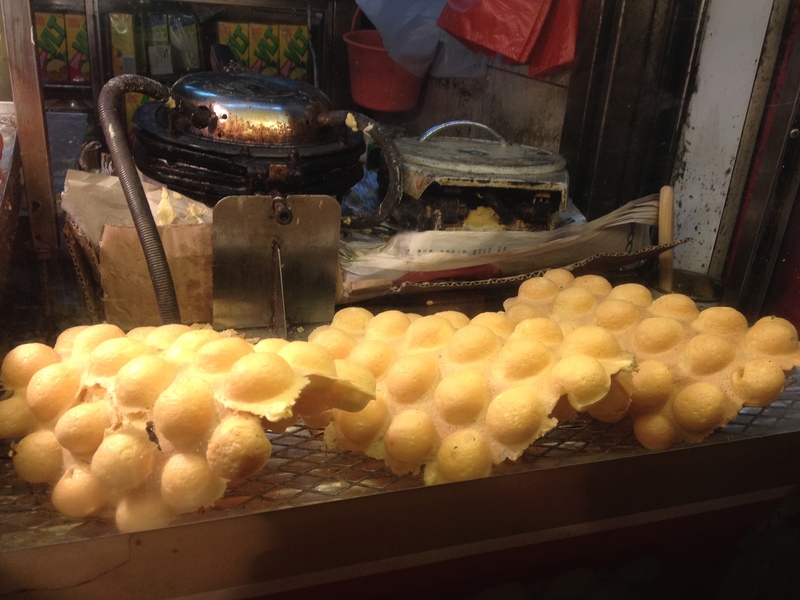 Gai Daan Jai: Often called ‘egg balls’ on the street, these created in a griddle with waffle-like batter- crispy and buttery! 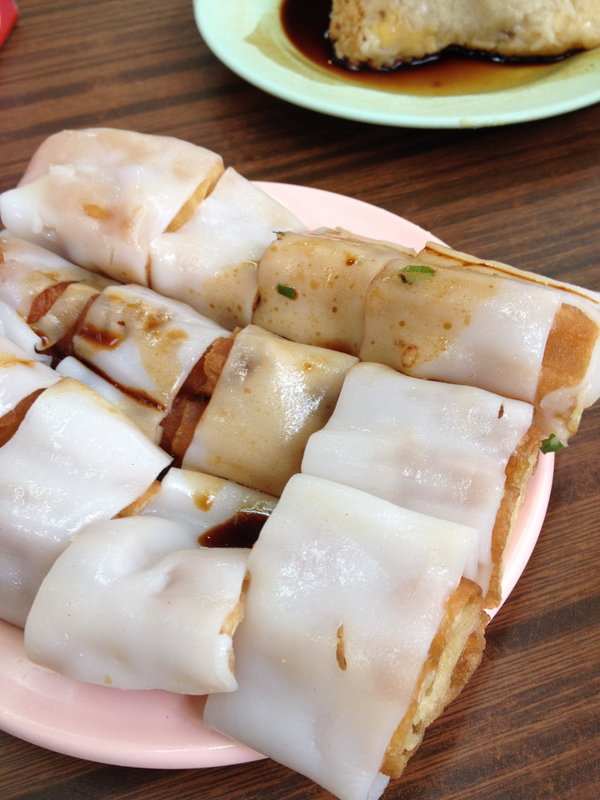 zha liang: rice noodles are wrapped around youtiao (on the left) and drizzled with vinegar.